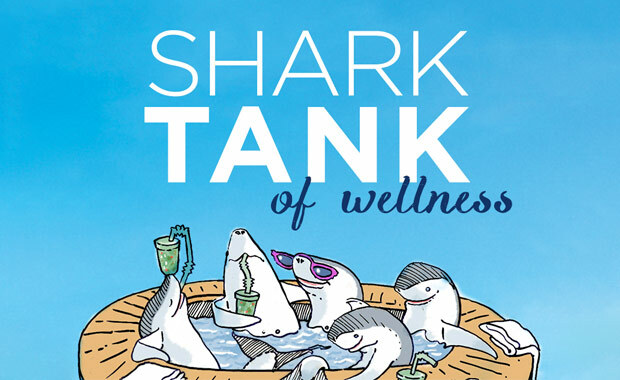 The “Shark Tank of Wellness” competition is a unique global challenge in which three university students are rewarded for their most innovative ideas for the wellness industry. The competition asks students to submit a future-focused, innovative wellness idea, product or service that has the potential to become a profitable business venture. Each individual or team is required to submit a 1-2 minute video and the Concept Submission Form detailing the concept. The three finalists will be flown to the 2018 Global Wellness Summit in Italy to win their share of $10,000 prize money. The organizers define the wellness industry broadly and are seeking innovations in sectors such as architecture/design, beauty, education, fitness, hospitality, investment, medicine, nutrition, real estate, spa, technology, travel, tourism, and more. The wellness industry is currently valued at over USD $3.7 trillion, thus providing ample opportunity for students with great ideas! Three (3) top finalists will be selected from the submissions by the “Wellness Sharks”, played by wellness industry leaders, and announced on 15 August 2018. The three students and their professors will be flown to the 2018 Global Wellness Summit, 6–8 October, 2018 in Cesena, Italy to present their ideas on stage to win their share of the $10,000 prize money.